Even though I didn’t do much with my WordPress blog in the last year, their stats helper monkeys prepared a 2013 annual report for me. I love the annual JibJab Year in Review video, and I am embedding in one of my blog posts so I can enjoy it again and again. 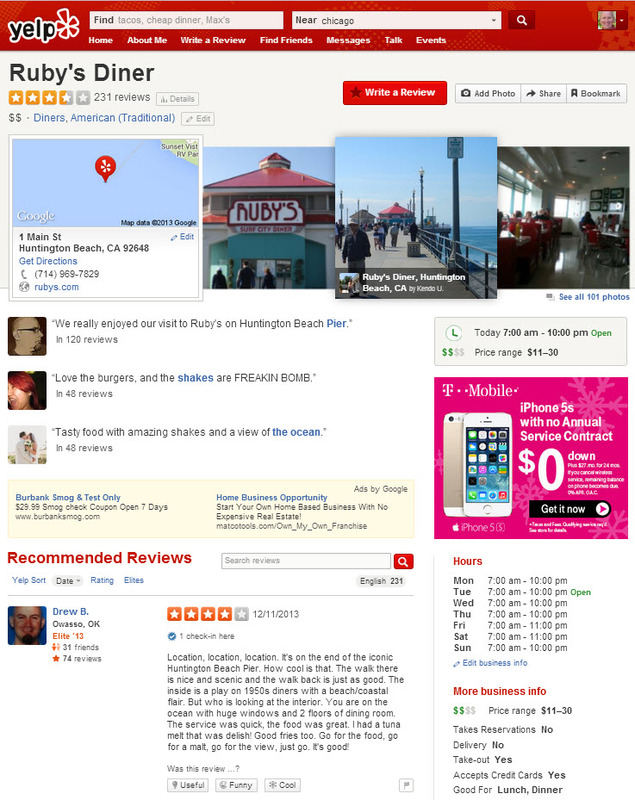 Have You Seen the New Yelp Interface? What the Yelp is going on? 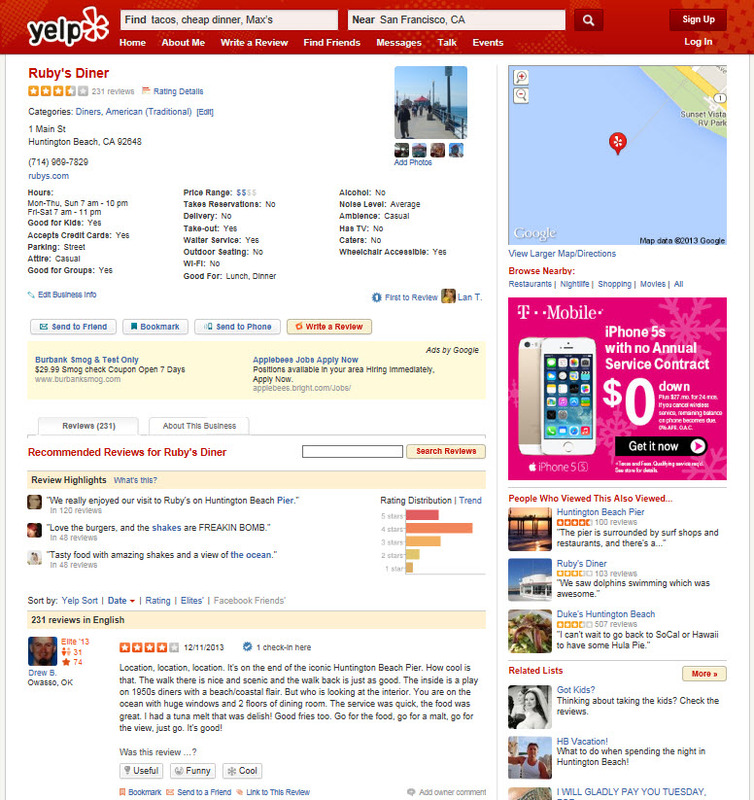 After 9 years, Yelp has decided to test a new design for their review pages. I only happened to notice because I manage a number of locations for a business on Yelp and am on their site several times per day. One day last week I noticed that my Yelp interface had changed and was really perplexed. While I liked most of the changes, I was really bothered that they changed the picture dimensions from rectangular to square which messed with several photos that had been uploaded to my account. Since I am a paying customer of Yelp, I quickly emailed my Yelp Account Manager and expressed my dissatisfaction about not being told of the changes. My ire turned out to be premature as Yelp is just testing the new design for now and only 1% of users can actually see the changes, so I guess I am luck in that regard. In any case, I still wish they would have been proactive in notifying active users or managers of business accounts that something was up. What is Yelp saying so far? Officially, Yelp is not saying anything about the new interface. Unofficially, here is some additional information sent to me by my Yelp Account Manager. We are testing these so the features are changing each week. We are not officially discussing these today since the design may change between today and the roll out. The roll out date has not been finalized but we hope to make the unveil in Q1. If you are curious about what may change, I have copied identical pages from Ruby’s Diner – and a Yelp page I managed 3 years ago. When I sign into my Yelp account and view any pages, I get the new Yelp user interface. If I use another browser and don’t sign in, I get the old or current Yelp user interface. So, do you like the new changes? I like the idea that Yelp is finally addressing the issue of their ‘tired’ interface considering that all of their social media brethren have gone through multiple user interface iterations in the past several years. I like some of the features and I am not convinced about some of the others. Remember my earlier caveat – the final design may change between now and final roll out. So, what do you think? 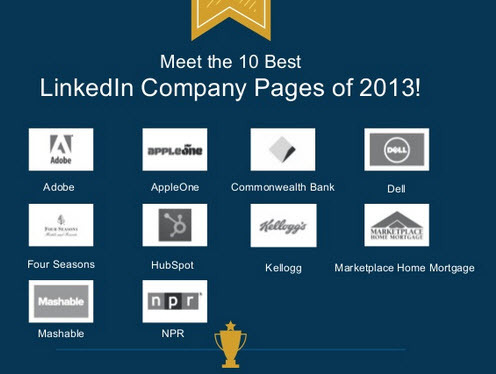 Every year, LinkedIn recognizes the 10 best LinkedIn Company Pages, and the AppleOne Employment Services page was selected as one of the 2013 best pages. I have been managing this page since March 2012 and in that time, we have grown the page from 4,000 Followers to over 21,000 Followers – an increase of 525%. I am adding status updates on a daily basis and we average over 275,000 impressions per month. Other companies receiving this honor in 2013 include: Adobe, Commonwealth Bank, Dell, Four Seasons, HubSpot, Kellogg, Marketplace Home Mortgage, Mashable and NPR. The Altimeter Group recently pulled together data from four years of surveying digital strategists and have published the findings in a report The State of Social Business 2013. Only 17% of companies have self-described themselves as “strategic” in the execution of their social strategies. Companies are committing more headcount to social media across all sizes of organizations. The full report and Powerpoint slides are presented below.